Valentine’s Day is a great time to spend with the one’s we love and show them how much we love them. It can also be an expensive time of year where we are bombarded by retail stores to purchase gifts at premium prices. 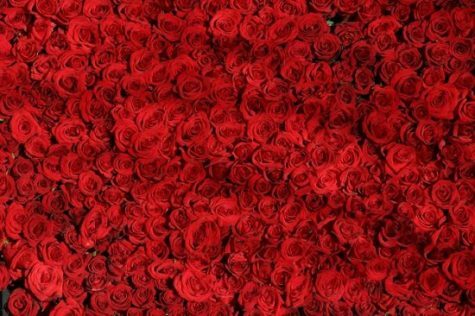 Here are 8 tips to get the most out of Valentine’s Day without empting your wallet or breaking your budget. 1. Cooking dinner for your partner is a great romantic gesture, especially if you are normally not the one to cook or plan meals in your relationship. Not sure what romantic dinner recipes to cook for the occasion? Country Living has great valentine themed dinner recipes that are affordable and delicious. For dessert, enjoy homemade chocolate covered strawberries, or any one of these great do it yourself Valentine’s Day recipes. 2. If staying home for Valentine’s Day does not sound interesting to you, then plan your activities in advance and save some money by using Groupon’s Valentine’s Day special offers. This site offers great deals for activities and gifts for couples to enjoy on Valentine’s Day. From couples massage, flowers and sweets, dinner and recreational activities like mini golfing and gondola rides. Once you have purchased a Groupon ticket, be sure to contact the vendor and book your reservation well in advance to avoid losing your spot due to limited spaces. 3. Get a creative on Valentine’s Day and make your partner a gift they will remember. DIY projects take time and a lot of effort so creating a meaning gift may have more sentimental value to your spouse them buying them something. Be sure to incorporate in your DIY gift aspects of your relationship that you both cherish. Examples of this include: wedding vows, memorable photos, memorabilia’s of your favourite moments or first times etc. Some great DIY projects that can incorporate these items are a decorated couples album, painting, decorated frame, poem, short video etc. For a list of creative DIY Valentine’s Day gifts for men, check out Cute DIY projects. For a list of creative DIY Valentine’s Day gifts for women, check out Dodo. 4. There are certain products that are sold at a premium price as Valentine’s Day approaches. These include: perfumes/cologne, jewelry, women’s lingerie to name a few. Retail stores are now beginning to promote products for Valentine’s Day in the middle of January and sometimes even earlier. Avoid overpaying for your partners gift by deciding well in advance what you want to get them and buying the item when it is on sale. Black Friday and a few days after the holiday rush may be a good time to look for deals. The early you decide what present to get your partner, the more time you have to shop for deals. 5. If you hate dealing with overcrowded stores and restaurants on Valentine’s, opt to celebrate with your partner before or after Valentine’s Day. 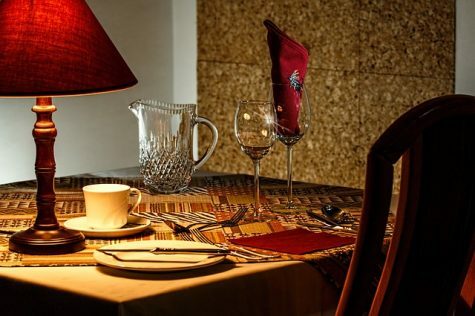 This can take a lot of the hassle and stress that may come with having to secure a reservation or deal with large crowds at restaurants and other social gatherings. By celebrating before or after Valentine’s Day you can enjoy cheaper prices, quieter restaurants and an overall more pleasant evening. 6. Contrary to what media and advertising tries to make us believe, we are not all the same. Even though Valentine’s Day is largely geared towards buying gifts for women, every woman is different. The same is true for men. By understanding what your partners love language is, you have a better chance of getting the most impact from the effort you put on this special day. The term ‘love language’ was coined by Dr. Gary Chapman from his book, The 5 Love Languages: The Secret to Love that Lasts. His book talks about how each person has a different way of expressing love. This is usually the way they would also like to be shown love. He mentions these 5 love language: acts of service, words of affirmation, physical touch, gifts and quality time. The fault lies in that we tend to show love for our partner based on our love language, not theirs. This book helps reconcile these differences and shows us how we can express love and affection towards our partner based on their love language, not our own. By using the decades of experience that Dr. Chapman has had counselling couples and the knowledge he shares in this book, you can make Valentine’s Day and every other day an amazing one for you and your partner. 7. If you will be getting flowers this Valentine’s Day and you want them to last, be sure to purchase flowers that have tight buds (flowers that are not fully blossomed). Chances are if they are fully blossomed when you pick them up at the store, you won’t have much luck having them for much longer. Instead, opt for flowers whose petals are still breaking through their buds. This will ensure that you will enjoy them at home for much longer. 8. If you’ll be popping champagne for Valentine’s Day consider opting for something cheaper that won’t break your budget. Most people can’t tell the difference between the taste of champagne and prosecco and a bottle of prosecco may cost you $15. You get to enjoy the fizz and bubbles of a champagne bottle, without dishing out the money for one. Even though Valentine’s Day can be a lot of fun, at the end of the day, it is just another day. 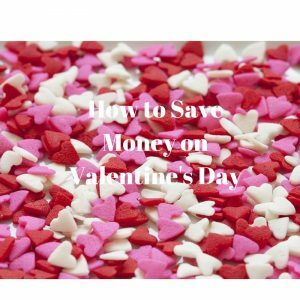 Make sure that whatever your plans are this V-Day, your budget agrees with it. There are many ways to show love and affection towards the one we love.